Last year’s $1 Million International Grand Prix winners, Olivier Philippaerts (BEL) and Cabrio van de Heffinck. Photo © Cealy Tetley. Spruce Meadows will host the world’s best show jumpers at the prestigious Masters Tournament, held September 4-8, 2013, in Calgary. The Masters is a CSIO 5* event and will award $2.115 million in prize money. Seven of the top 10 ranked show jumpers in the world plan to attend, including newly named European Champion, France’s Roger Yves Bost (ranked #9 in the world). Rolex Grand Slam of Jumping leaders Nick Skelton (ranked #11 in the world) and Big Star will compete as well, and competition at this year’s tournament will be electric. Along with top individuals, there are eight teams that will compete in the BMO Nations’ Cup. Riders ranked in the top ten who plan to show at the Masters include World Number One rider Christian Ahlmann (GER), Beezie Madden (2-USA), Kevin Staut (3-FRA), who is showing for the first time at Spruce Meadows, Gerco Schroeder (4-NED), Steve Guerdat (7-SUI), Kent Farrington (8-USA), and Bost. Ranked No. 11 in the world is Great Britain’s Nick Skelton, who has set the circuit on fire this summer with his top horse, Big Star. The pair won the Rolex Grand Prix of Aachen, the first leg of the Rolex Grand Slam of Jumping. The Masters CSIO 5* hosts the second leg of the competition, while the final leg is at the CHI Geneva in December. The Rolex Grand Slam of Show Jumping is the first global initiative to reward the outstanding rider who wins the Grand Prix at each tournament in succession. Any rider that wins the Grand Prix at each of the three tournaments consecutively will receive €1 million bonus on top of the prize money for each tournament’s Grand Prix. Moreover, any rider that wins two out of the three tournaments’ Grands Prix will also receive a bonus of €500,000 in succession or €250,000 for winning two out of three. 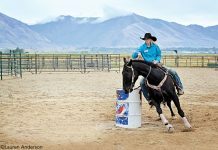 Skelton and Big Star will attempt to make history when they compete in the highlight event of the season, the $1 Million International Grand Prix, on Sunday, September 8. They will have tough competition from some of the best in the sport, along with last year’s winners, Olivier Philippaerts (BEL) and Cabrio van de Heffinck. National pride will be on the line when eight countries line up teams to compete in the $350,000 BMO Nations’ Cup. In addition to teams from Canada and the USA, there will be squads from Germany (winners in 2012), France, Belgium, Switzerland, Great Britain, and Ireland. 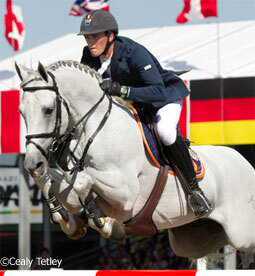 Guerdat will be a member of the Swiss team in the BMO Nations Cup as well. 2013 European Champions Great Britain will have a team, including Team Gold and Individual Silver medalist, Ben Maher, and Team Gold medalist Michael Whitaker. There is fantastic prize money on the line each day of the Masters Tournament. Spruce Meadows increased the FEI prize money awarded from 2012 by $300,000, making it a total of $2,115,000 in prize money given in the five-day event (not including special prizes or series). Eight of the 10 major events have also increased their world ranking point level, giving riders even more opportunity to raise their ranking in the world. Saturday’s BMO Nations’ Cup and Sunday’s $1 Million International Grand Prix will be televised live on the CBC. Spruce Meadows looks forward to welcoming the world’s best to the Masters Tournament next week and invites everyone to come and see the sport of show jumping at its best. 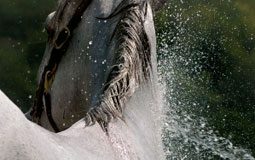 For a full schedule and list of riders attending, please visit www.sprucemeadows.com/tournaments. For further information on the Rolex Grand Slam of Show Jumping, please visit www.rolexgrandslam.com. What a wonderful tournament to see. Good Luck to Everyone…riders and horses.